An ideal vehicle is one that meets the owner's expectations for the product. Premium brands have been ranked in this top 10 brands ranking. 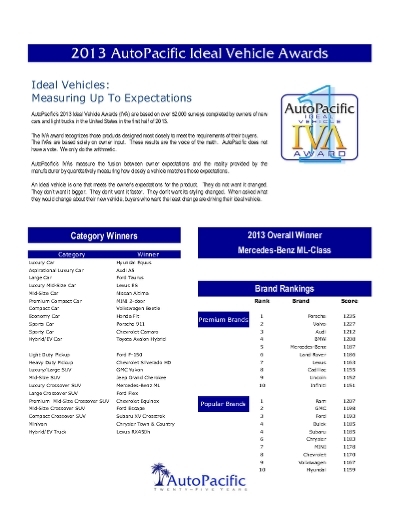 Autopacific's Ideal Vehicle Awards measures the fusion between owner expectations and the reality provided by the manufacturer by quantitatively measuring how closely a vehicle matches those expectations.